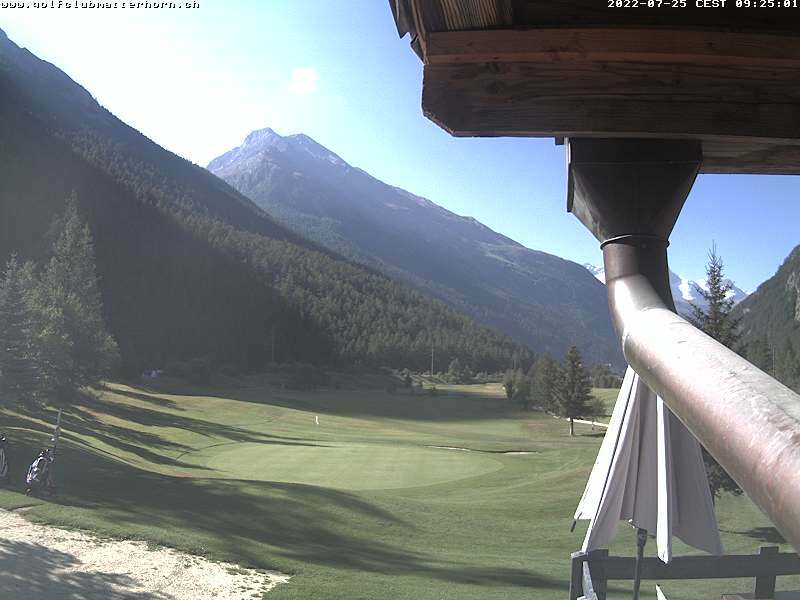 Täsch-Randa golf course in Oberen Mattertal. Facing south. View of the Klein Matterhorn (small black peak on the right) and the Breithorn. Left, the top of the Rothorn.